I have been known to rave about boutique grooming bar Dry & Tea both here and in my Ponsonby News column, and can honestly say that it consistently appears on my official list of “Happy Places”. That is not a title I bestow on a location lightly, but the company’s serene spots around town all quite literally blew me away from first visit. As soon as you set foot into each Dry & Tea premises you feel welcome, as well as lulled into a sense of peace by it’s wonderful shades, smells and furnishings (a fur rug gets me EVERY time!). So, I was pretty excited when I got the invite – thanks to the wonderful Kérastase - to try the salon’s newest location, in Auckland’s popular Britomart precinct. The salon space is located on Tyler St and includes access from Atrium on Takutai, with easy parking just over the road at the Britomart carpark or - if you’re lucky – just outside. Designed by Cheshire Architects, the blow-dry bar is complemented by their now signature bespoke print created by New Zealand artist Paul Hartigan. Naturally, they have a wide selection of Harney & Sons tea and favourites from T2 on offer, as well as top notch coffee. Clients can pick from a variety of services, including the salon’s renowned signature blow waves, dry styles and hair ups, along with cut and colour services. Amy has recruited a talented team of hair specialists who are passionate not only about blow waves and session styling, but also have exceptional experience in the latest colour and cut trends. The expanded services menu includes special event packages, hair and makeup and wedding packages. Too good! 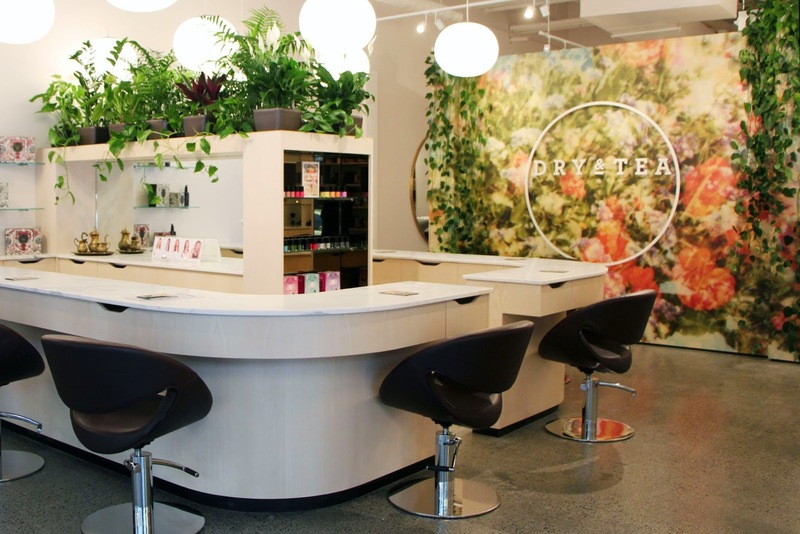 The Britomart salon also boasts a Kerastase spa, offering clients the full Kerastase back basin experience – a definite recommendation if you have the time, your hair will love you for it.